What? Another holiday? Yes, but this year is different. Shift your thinking from it being a holiday to an integral part of your curriculum - Black History Month. I was giving my students a "preview," of what is coming up after our present novel study, "We have PARCC practice, then we are starting Romeo and Juliet, and, oh yeah, Martin Luther King and Black History Month." My students responded with, "we always do that speech. We do it every year. Ugh, do we have to write?" My answer, "really? What speech? What do you do every year? 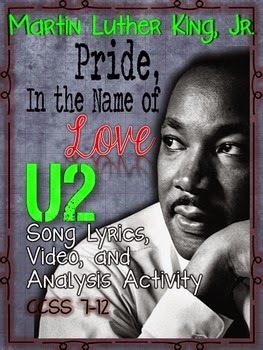 And, you'll write, but not the way you have in the past..." I quickly realized my students have a good knowledge of why we celebrate black history, but perhaps they have not been engaged in a broad range of activities. This year, on January 19th, we will observe the national holiday for Martin Luther King's birthday. Mrs. Knight's classes are going cross curricular! There are four Friday's in February. A great time to implement four activities that tie in with Black History Month. These activities will give you the opportunity to get your students on the internet to access links for answering questions and putting together some cool creative images. I allow my students to use their own technology device or use the desktop computers in the classroom. I also have access to two Dell laptops. Looking for more creative ways to teach Black History Month lessons? 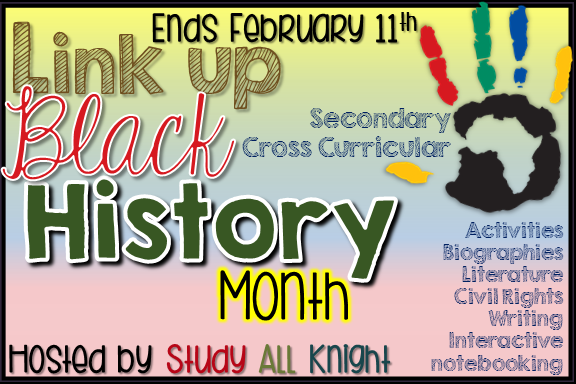 Enjoy this link up for Black History Month!